Good News! ASPHostDirectory.com offers the latest UK ASP.NET MVC 5.1 hosting to all our new and existing customers. ASP. 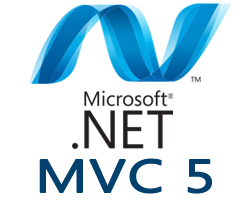 NET MVC 5.1 is the latest update to Microsoft's popular MVC (Model-View-Controller) technology - an established web application framework. MVC enables developers to build dynamic, data-driven web sites. MVC 5.1 adds sophisticated features like Attribute Routing, Enum Support in Views, Support of Bootstrap in Views, and more. Support of Bootstrap in Views - Now, you can pass in HTML attributes in Html.EditFor as an anonymous object. We can pass the various styles of Bootstrap in HtmlHelpers and customize the input elements like textboxes, dropdownlist and so on. Sign up for our MVC 5.1 Web Hosting with no risk to try our excellent service start from £2.99/month! ASPHostDirectory.com offers cheap MVC 5.1 Web Hosting to all our new and existing UK customers. You can try our services before buy it. Get FREE 7 days Trial Hosting with us. There's no obligation to buy — you can upgrade to a more robust account or cancel at any time. No risk anymore, why wait longer?